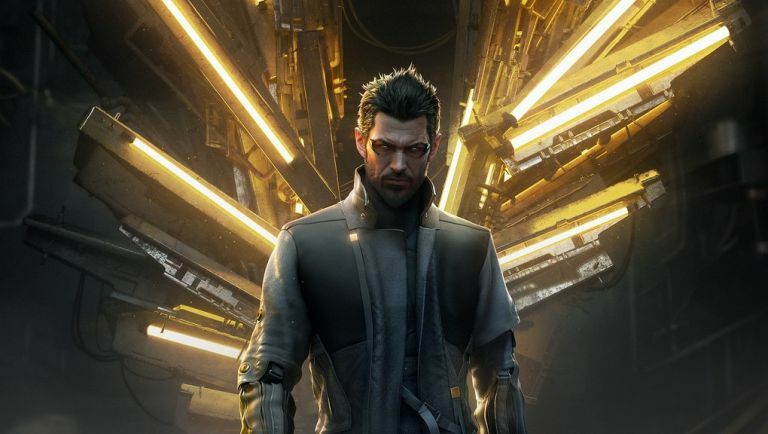 With less than four months to go until the next instalment in the Deus Ex series augments its way into our lives, Square Enix and Eidos have hit us with a double whammy - a brand new trailer shedding a little more light on the political powder keg behind its story and a big info dump on the game's planned special editons. Planned for release on 23 August on Xbox One, PC and PS4, Mankind Divided is getting a total of three special editions with two physical versions and one exclusive to digital platforms. All standard copies will come as Day One Editions (£54.99 on console, £39.99 on PC), which bundles an extra in-game mission, a pack of in-game items, a digital art book and an OST sampler. For those looking to add a little more tat to the shelves in their home, there's the triangular-boxed Collector's Edition (£109.99 on console, £99.99 on PC) to sink your teeth into. This chunky version comes with all the extra items and goodies from the Day One edition plus a nice little steelbook, a 48-page physical art book, a 9" Adam Jensen statue and a gold and black prism box (because non-square boxes are for squares, obvs). Finally, for those who prefer their content direct to their machine there's the Digital Standard Edition (£49.99/£39.99) and Digital Deluxe Edition (£74.99/£64.98). The standard one comes with all the Day One content plus a digital comic book, while the Deluxe version includes the full Season Pass. Got your appetite for augmentation piqued? Then check out the new 6-minute plus 101 trailer, which delves a little deeper into the story behind the game and the new upgrades Mr Jensen has brought to the party.